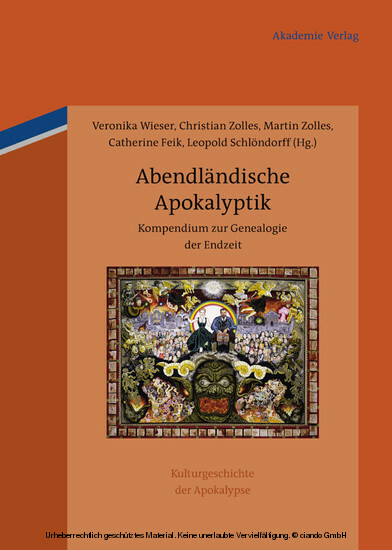 The articles investigate European notions of the apocalypse from late antiquity to the 21st century. Oriented to cultural studies, the volume contains three chapters on modernity and three chapters on the early modern era and the Middle Ages. The articles address a number of themes, including forms of the Almighty, medial regulation, thoughts on contingency, typological schemata, differences, community, and time frames. Veronika Wieser; Christian Zolles; Catherine Feik; Martin Zolles; Leopold Schlöndorff, Wien.